This is old version Frozen Frenzy Mania 1.6.1 apk for Android, you can install it if you want to downgrade or install old app. 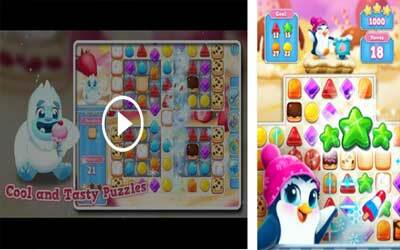 It is top Puzzle apps from Storm8 Studios. 100+ NEW LEVELS: Explore more fantastic frozen zones and unlock the magic within the Rainbow! NEW BUSY BEE OBSTACLE: See what’s buzzing with the brand new Busy Bee obstacle! HUGE Improvements: We always continue to make your experience as creamy smooth as possible with new bug fixes and improvements!